King Shocks is the largest off-road shock manufacturer in the world. They asked us to build them a website that was modern and functional and could organize their thousands of products for easy navigation. King also want a website that could be updated easily and would be search engine friendly. We built the website with an open architecture using mostly HTML. The site also features a custom content management system that is designed to harness the power of frequent updates for maximized SEO or search engine optimization. 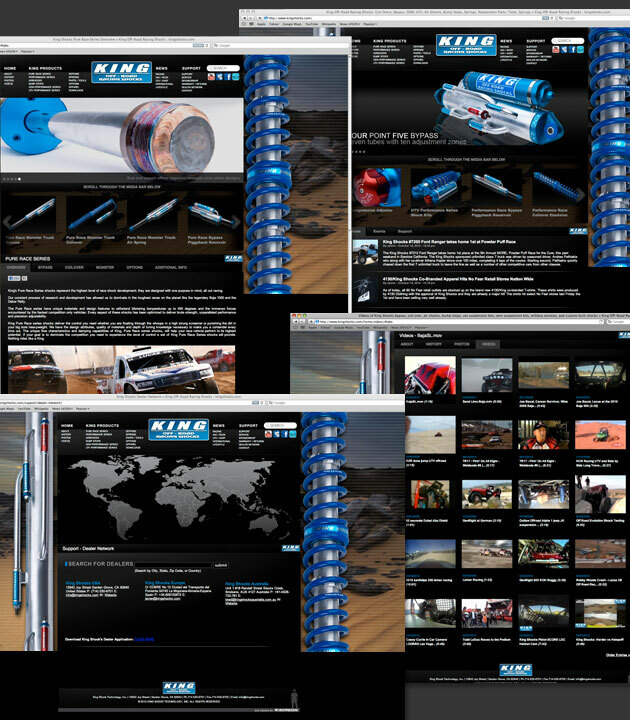 Now customers from around the world can quickly and easily find King Shocks products.